Snowdonia’s unique walking challenge returns for its third year in 2019, attracting walkers from across the world. Snowdonia Challenge will again be held in Betws-y-Coed on the last weekend of June. Over 3 days walkers are challenged to complete 100km through the national park exploring places they’ve never been before and enjoying some of the best views Snowdonia has to offer. This three day, 100km walking challenge offers walking something different. There isn’t another event like it in the UK. Tracey Ann Breese, partner of Breese Adventures who founded the challenge in 2017 said: “This really is a fantastic weekend. We couldn’t have hoped for better feedback from the first two Snowdonia Challenge’s and the day after going home walkers were booking to come back again. Some of them for their third time! “We promised them a challenge and a journey and we achieved this on lots of different levels, but most importantly they all went home with amazing memories and new friends from around the world. So far the challenge has seen participants travel from Africa, USA, Gibralta and both years the furthest participants travelled was from India. Snowdonia Challenge isn’t for the faint hearted though. It is a test of mental and physical resilience and team work and will take you on a journey of self-discovery. Each of the three days take a different route, starting and finishing in Betws-y-Coed. Routes go through forests, around lakes and across moors. All routes are well signposted and you will be fully supported by qualified and experienced marshals along the way. Tracey explains the motivation behind creating the challenge; “There are lots of great challenges in Snowdonia and North Wales for runners and triathletes but that’s not for everyone. There seemed to be no challenge events for walkers and we can’t think of anywhere better than Snowdonia for a walking event. If you don’t feel ready to commit to the full 3 days challenge this time then you can sign up for one or two days and take on a shorter distance. Snowdonia Challenge is open to anyone over the age of 18 as an individual and is also a great team event. If you want to take part in the challenge as an opportunity to fundraise you can choose a charity of your own or join one of the 8 Snowdonia Challenge partner charities who are entering teams next year. For 2019 you can also take advantage of the ‘charity entry’ option where you can register for just £45 by selecting to support one of the partner charities. 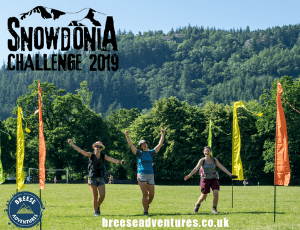 Snowdonia Challenge 2019 will be held 28th to 30th June. More information is available on the Breese Adventures website www.breeseadventures.co.uk or by calling Tracey on 07525 625375. Walk for PAPYRUS – visit Snowdonia Challenge 2019 event page for more information. 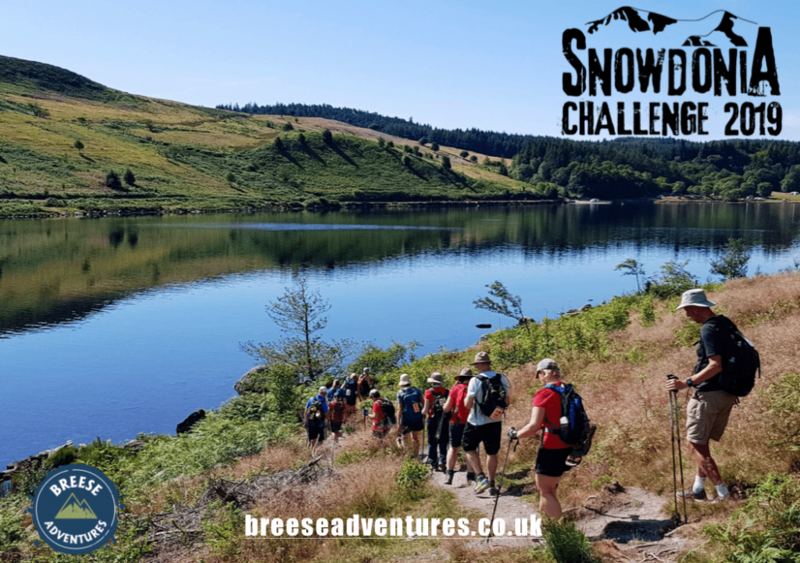 Breese Adventures are a local company, based in Betws-y-Coed and provide challenges and adventures for individuals, groups and charities. The first Snowdonia Challenge was held 30 June – 2 July 2017. I have just signed up for this. I was wondering if you would be supplying your fundraisers with a good old fashioned sponsorship form and/or fundraising pack? Please advise – I understand it is £45.00 to register, how much in sponsor ship needs to be raised? What time each day does the event start and finish?